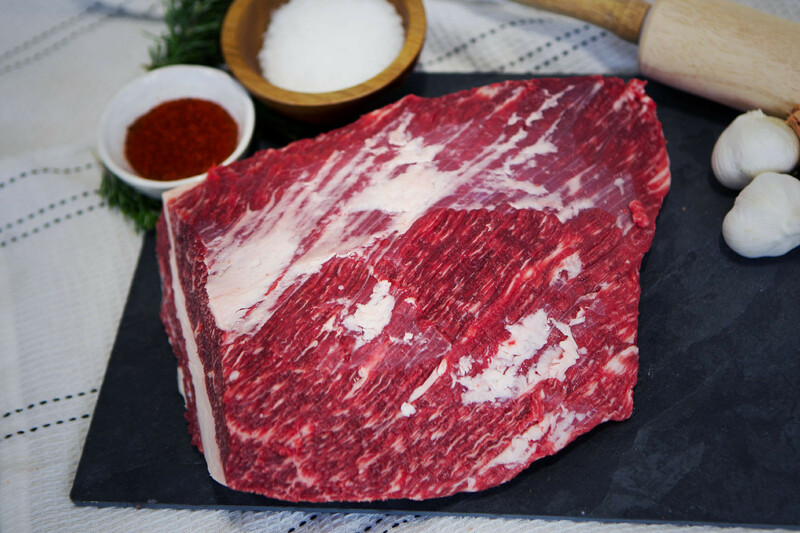 The brisket flat is the leaner half of the brisket, and is perfect for slicing and commonly used for corned beef. A layer of fat at the bottom of this beautiful cut ensures a perfectly tender yet juicy bite. Pasture raised and finished with a farm-grown barley feed for unmatched tenderness and signature Wagyu marbling. If you’re looking for a cut to put in a smoker the day before or morning of a big event, our purebred Wagyu brisket will have everyone calling you a pitmaster. As a good rule of thumb, make sure to order around ½ pound per person - if you want a specific weight, make sure to include it in the comments when finishing up your order.